As a professional, you need to be focused on what you’re doing, but at the same time never lose your connection to the world. The new Husqvarna X-COM R with Bluetooth enables you to take and make phone calls effortlessly. To that you can add more comfort and flexibility along with user-friendly controls. You will always stay connected — and safe. Helmet mounted. Stream music from your phone – easy and simple. Use the control buttons on your X-COM R while your phone stays in your pocket. The built-in microphone can be used without external “boom mic” in less noisy environment. We have developed the highly requested talk-button to be larger and therefore more accessible. You will never have to miss a call again. In quieter surroundings, simply push the button to answer incoming calls and talk comfortably into the integrated microphone. For louder surroundings we recommend using the external boom mic, available as an accessory. 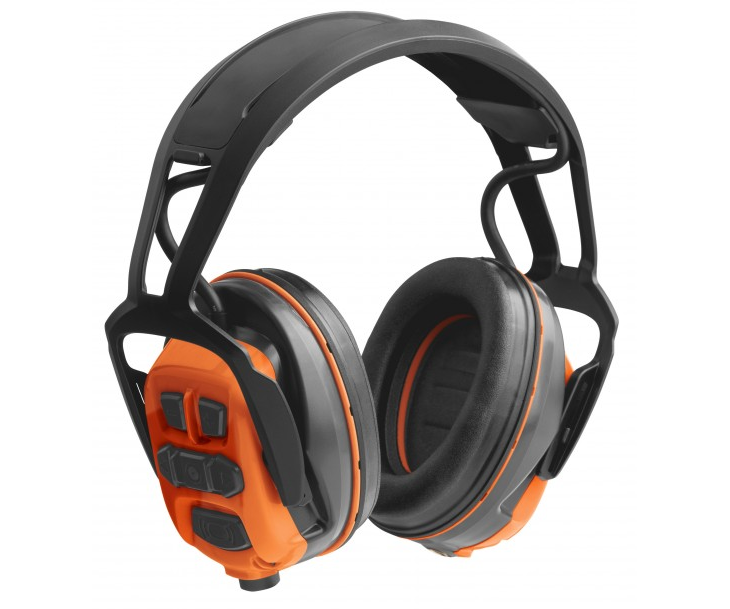 High comfort ear muffs. Stays in place even if its very warm and sweaty. There is nothing more frustrating than getting stuck in branches or brushwood. With the built-in FM antenna you don’t have to worry about getting stuck, nor compromising the reception. Simply focus on getting the job done. Because of fewer openings, the integrated battery has lower risk of getting wet and sustain water damage.